The places from which you can reach Mljet lakes (42° 46′ 0″ N, 17° 27′ 0″ E) are bay Pomena, Polače and less popular bay Gonoturska. 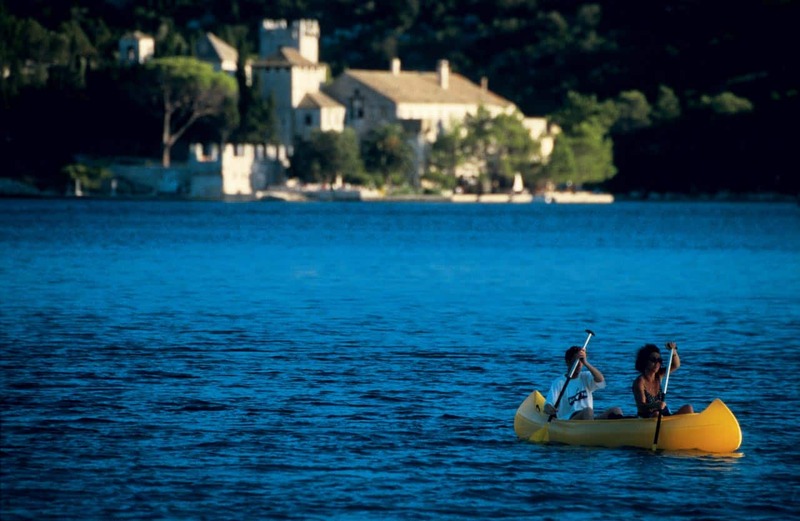 If you are anchored in bay Polače the officials will come with a dingy to charge you entrance fee or you will need to buy your entrance ticket at shop in Polače where info brochures and leaflets as well as maps of the Park are available. 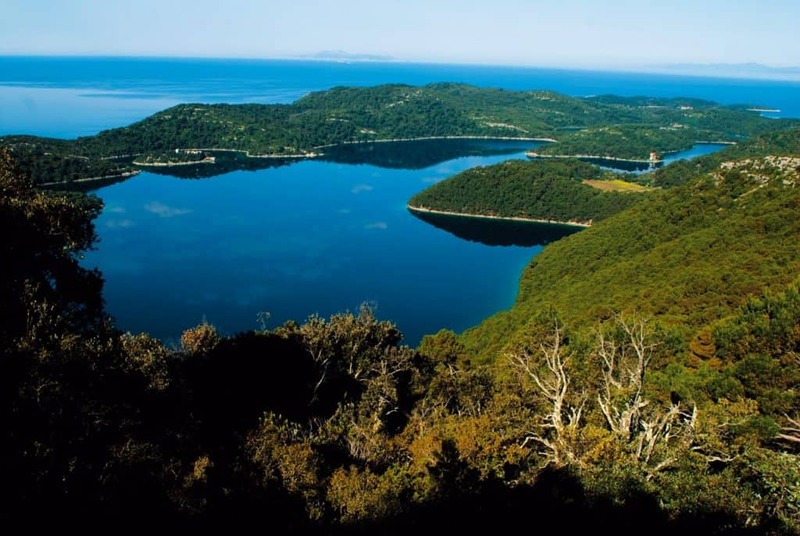 Mljet National Park covers the entire north-west part of Mljet Island and borders two salt water lakes – Veliko i Malo Jezero. The lakes are stretched for about four kilometres and to reach there you can take a public bus from Polače. But if you are eager for some action take a bike (note: no motor vehicles are allowed in the park). Right in the middle of the Veliko jezero there is a small island Melita with large building of former Benedictine monastery, erected there in 12th century. The monastery’s building is now café/restaurant. Small island is connected by boats (payable extra) that sail there from both sides of the lake. As both lakes are encircled by well-marked paths, you can cycle or stroll along the pleasant, shaded paths. You can rent a bicycle in Polače and at Mali Most (the point where two lakes are joined by narrow channel) to cycle around. Kayaking is also allowed. Swimming and sunbathing in Park is a good fun – as water here is much warmer than on seashores of the island (which is great if you want to swim in colder months). 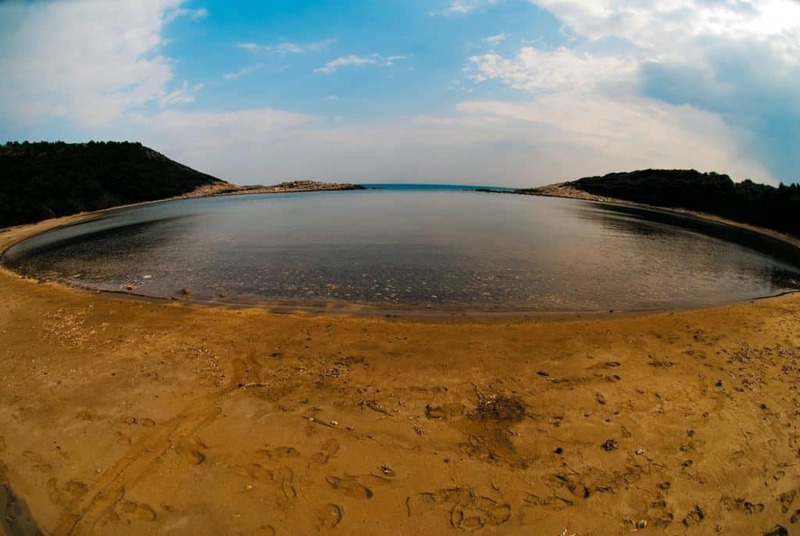 In Soline as well as under the Mali Most due to tidal and oscillation, there is a constant flow of sea that resembles a natural buoyancy, ideal for relaxing!